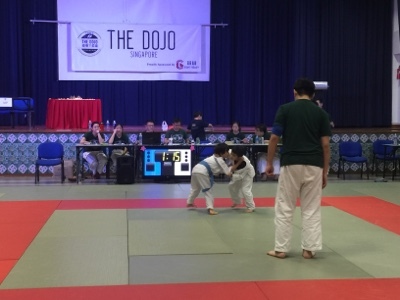 Many months back, in September, the boy started a new sport, Judo. 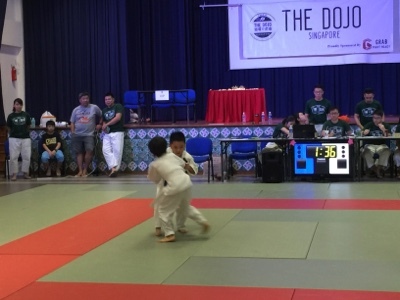 He joined The Dojo at Siglap South CC and really enjoyed it. 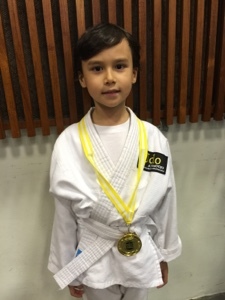 And in December, we were informed of a competition that was being held, initially I wondered if he was too new to the sport to be joining the competition but the coach told me that it would be good exposure for him and the children will be grouped according to their skill levels and age. So we signed him up since he was very excited about it. Fast forward to today, the day of the competition. 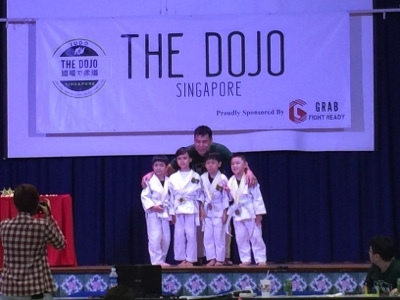 Well, the boy surprised me but winning his category against some little children who were slightly more advanced than him! 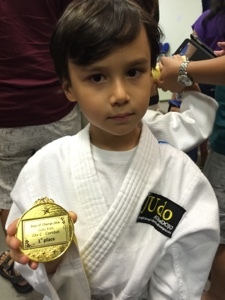 So proud of my little man!